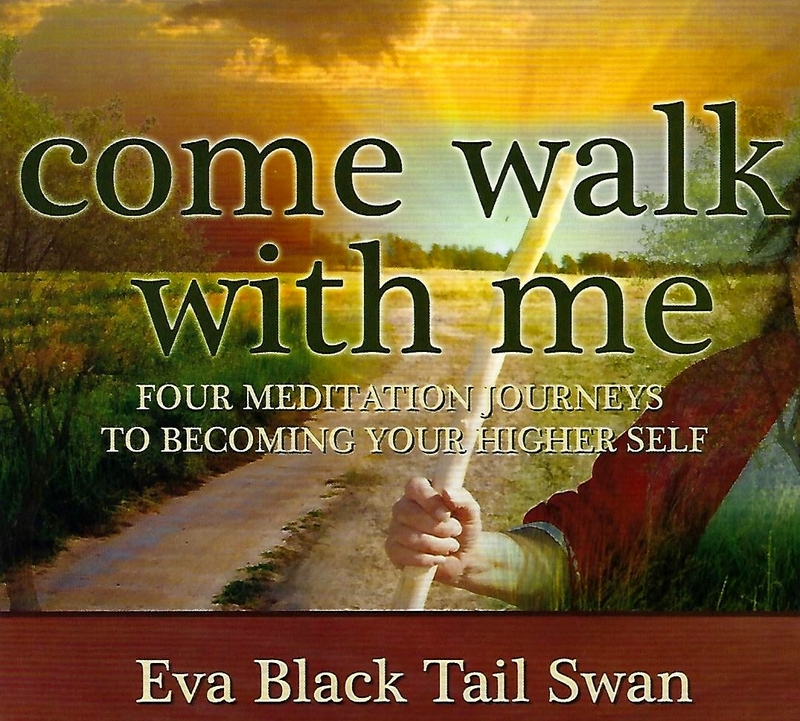 Come Walk With Me: Four Meditation Journeys To Becoming Your Higher Self By Eva Black Tail Swan Journey is a practice that is becoming more known, understood and used as a common and mainstream meditation technology for anyone to achieve extraordinary healing – from simple relaxation and relief from stress to relief of pain and more. In Journey, you allow your mind to travel for specific purposes while your body is in a resting state. Cherokee Medicine Elder Eva Black Tail Swan takes her listeners on four guided meditation Journeys – Seeking, Direction, Discovery, and Release and Heal – accompanied by the haunting and ethereal Native American flute music of Marina Raye. A profoundly moving experience that can be repeated as often you want to Journey to the Higher Realms.